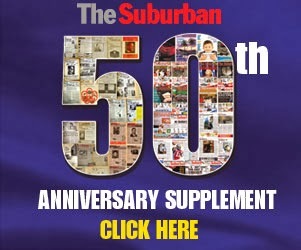 In my Wednesday Suburban Newspaper column July 25 (see page 4), I told readers about Cesar Corrales, who gave up his lead role in Billy Elliot the Musical in Toronto in May and returned to Montreal to continue his ballet training. While my earlier attempts to interview Cesar were unsuccessful, after my column appeared I was contacted by his mother Taina Morales. She told me that both she and her husband Jesus decided to pull Cesar from the show so he could focus his full attention on classical ballet. Prior to Toronto, he spent eight months as part of the Chicago tour as one of four boys rotating in the role of Billy. The family now lives in Côte des Neiges. Taina works for Les Grands Ballet Canadien. Her husband Jesus Corrales, is a former principal dancer from Cuba RWB and Les Grands Ballets. The couple have been home schooling Cesar, 14. “There is a reason why I had Cesar stop the show,” Taina said. “Cesar performing this role was an amazing surprise when I brought him to audition. I really did not expect he would get the part. It was a dream. Like most boys mention in their interview, it was a beautiful and amazing and as parents we couldn’t be more proud to see how far Cesar went, so I can’t ever thank the producers enough for giving Cesar this opportunity. 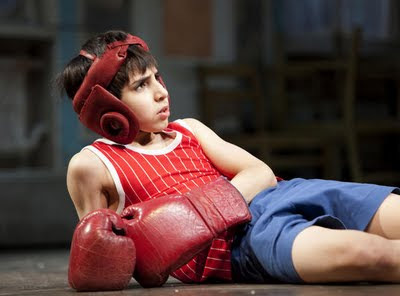 Billy Elliot the Musical continues in Toronto until September 3. I recently saw the show and it was absolutely superb. Go to www.mirvish.com for ticket information.